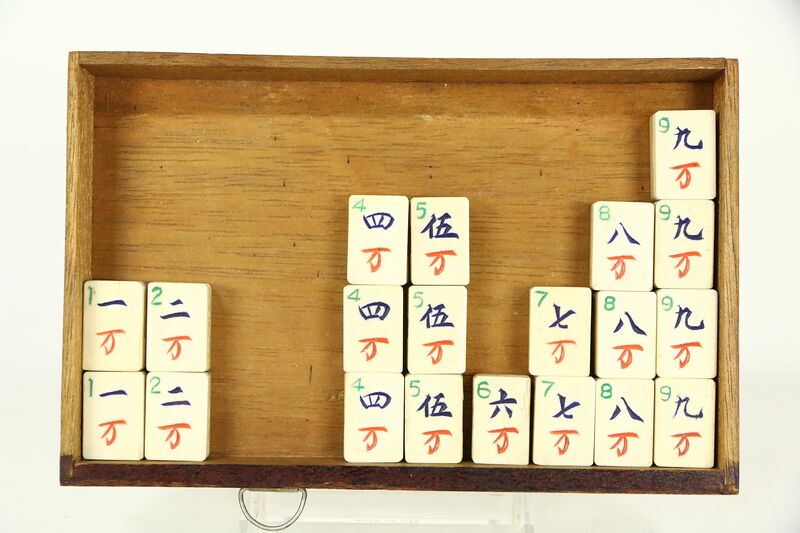 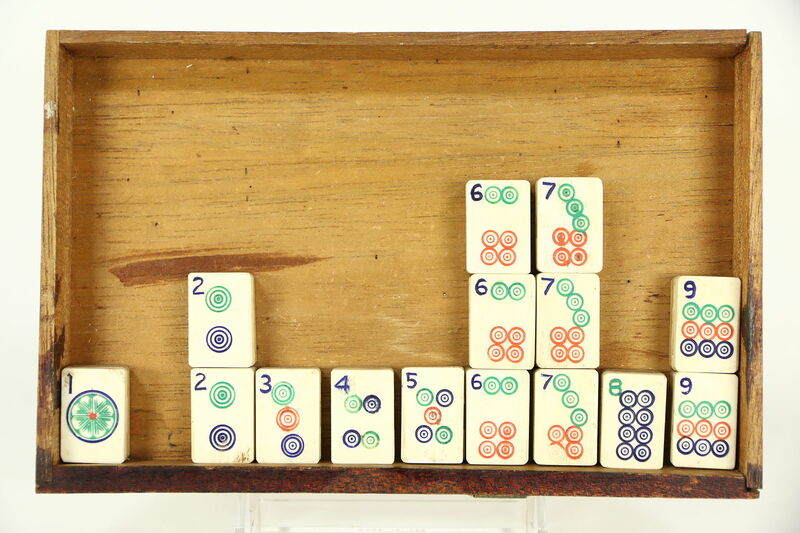 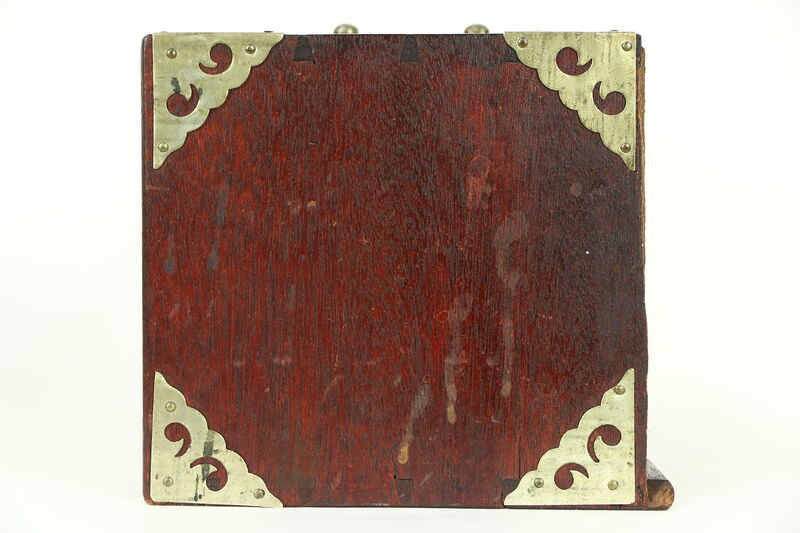 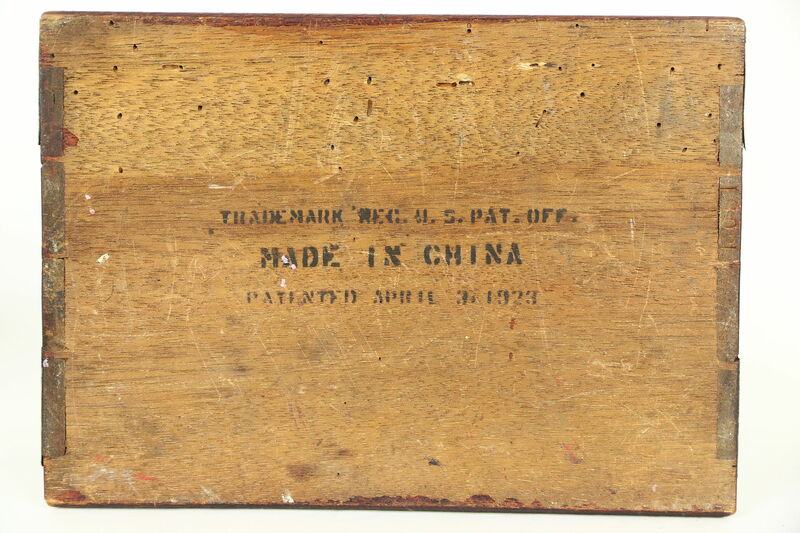 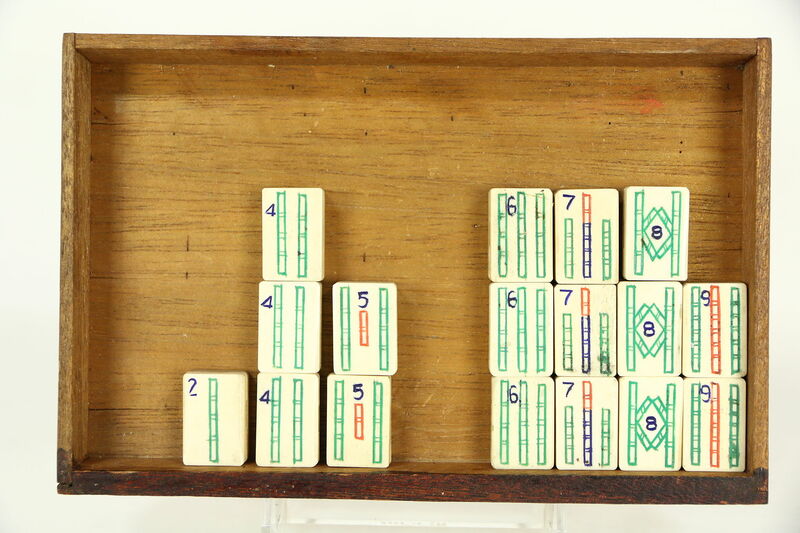 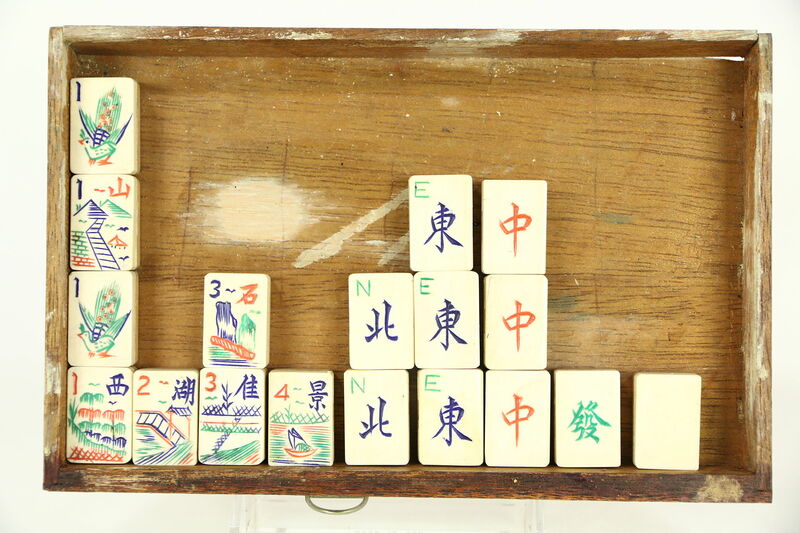 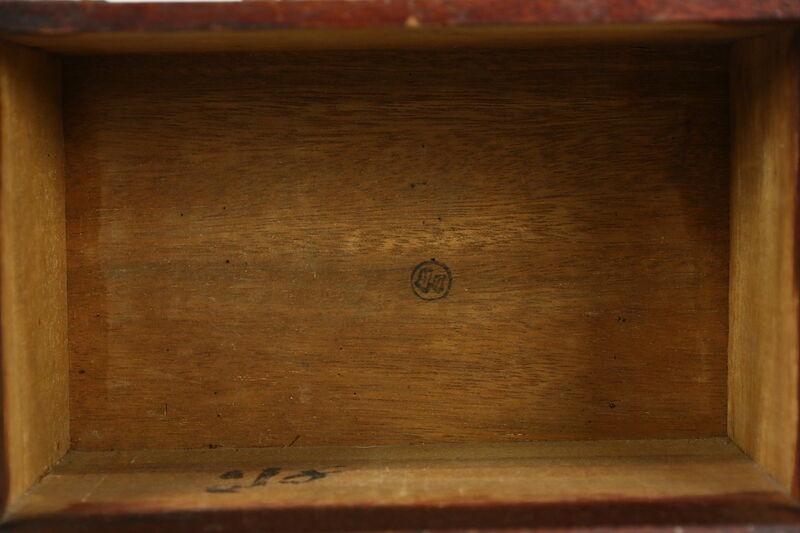 This "Mah Jong" game set was made in China during the "Majong" craze in the 1920's, and is incomplete, see photos. 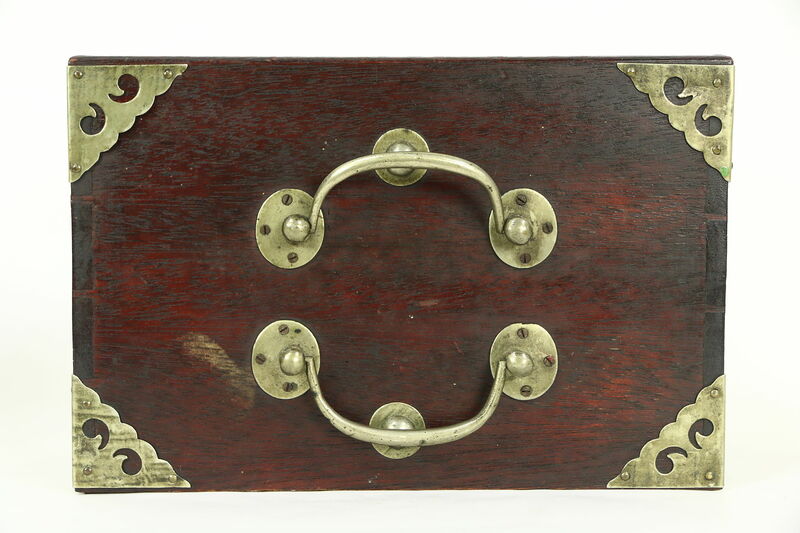 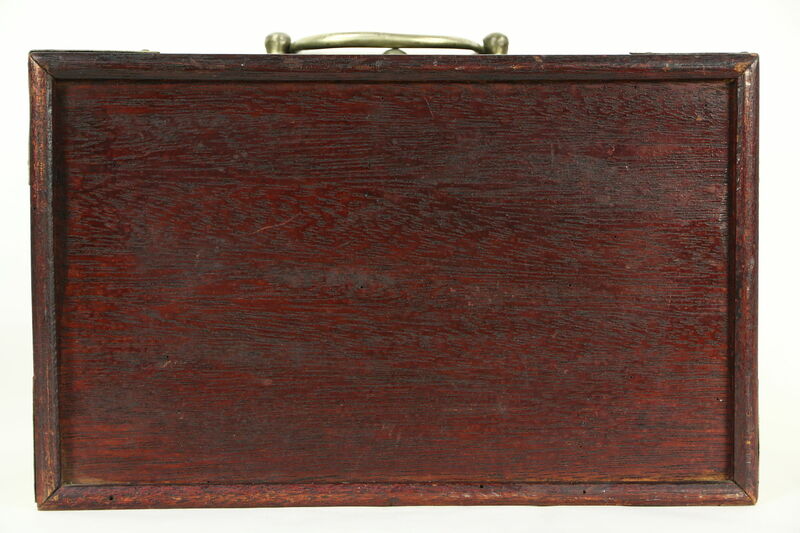 The hand made rosewood case is dovetailed and has nickel mounts. 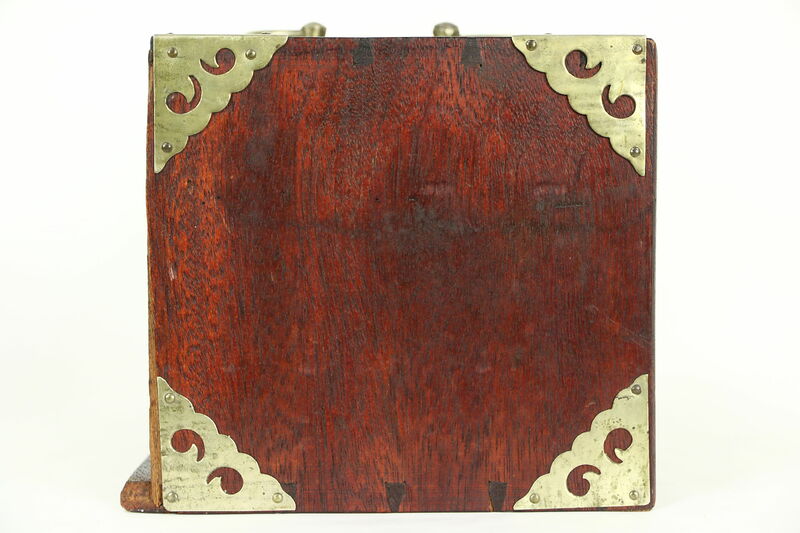 The original finish has wear as shown. 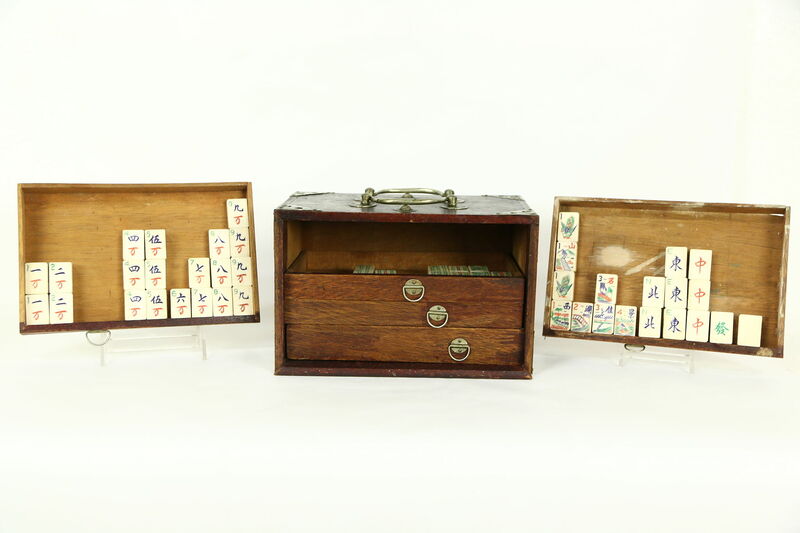 Five small drawers hold pieces in bamboo and bone. 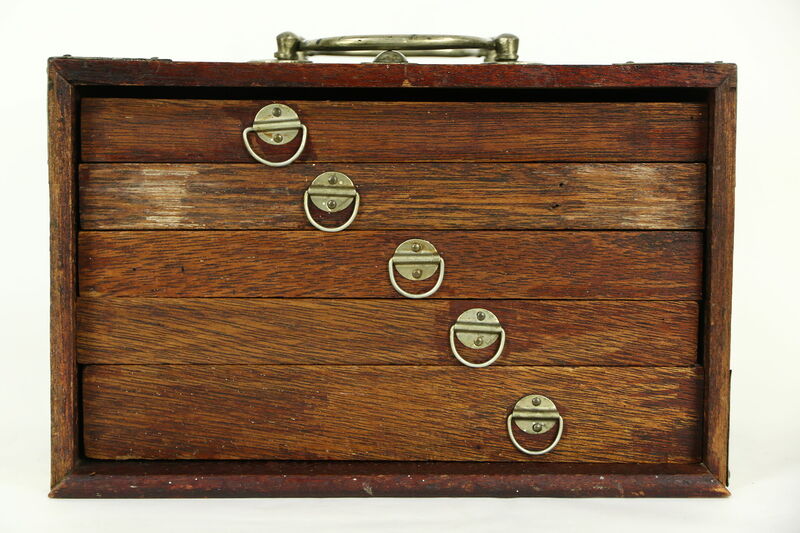 Size of the hand dovetailed case is 9 1/2" wide, 7" deep and 6" tall.